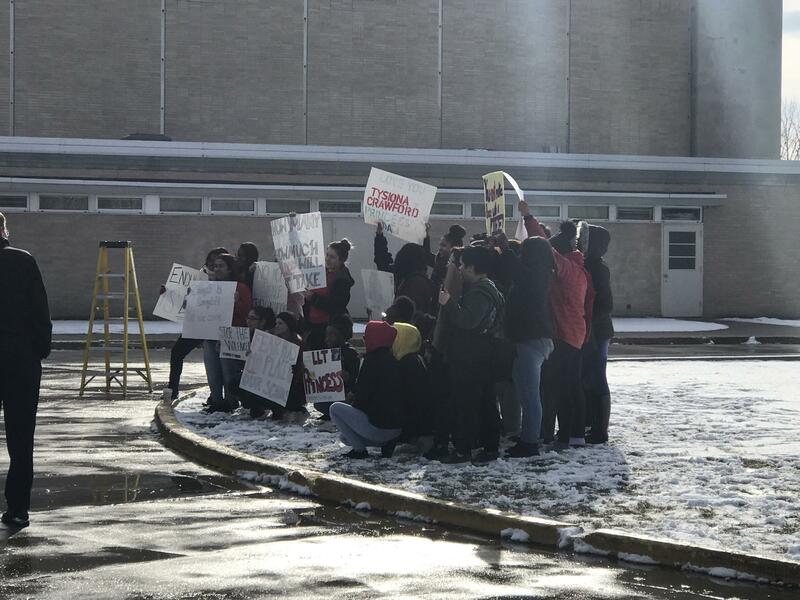 Students carried handmade signs during today's walkout at Washington High School. She said each of the extra three minutes students stood outside honored one of three 17-year-olds killed by guns in the area, since the beginning of 2018. Among those teens was a Washington High Student, Tysiona Crawford. Davidson is an intern in the Mayor’s office and is part of the South Bend Youth Task Force. She said the group encouraged students to voice their opinions regarding the gun violence debate. Davidson said she wanted to make sure Washington High had a voice in the gun violence conversation. For Davidson the issue of gun violence was one that hit close to home. She said it was hard to not cry as she spoke to students during the gathering outside the school. Davidson said she would like to residents be proactive in preventing gun violence. For example, if they see suspicious activity to call the police, and on a national level, the senior said she would like to see stricter gun laws passed. Students pose for pictures with signs after they stood outside for 20 minutes to honor victims of gun violence at Marjory Stoneman Douglas High School and in their community. Since the beginning of 2018, three 17-year-olds have been shot and killed in South Bend. Buttigieg said the issue of gun violence is a personal one for the city and the community, because of the number of gun-related deaths in the South Bend. He said the issue of gun violence hits home for students in the area and the city is taking it seriously. State of the City address yesterday evening, Buttigieg said he felt an obligation to South Bend students and he’s proud of their activism. “You know the kids really took the lead on this, I was just here to show support, but what you see is students, many who have personally been affected by gun violence, stepping up, lifting up their voices and insisting that their politicians do a better job at keeping them safe. 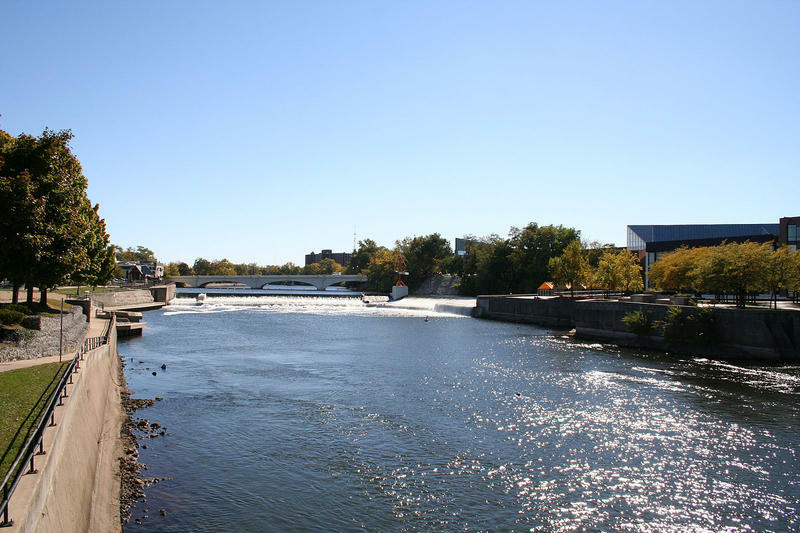 Who could be against that,” Buttigieg said. 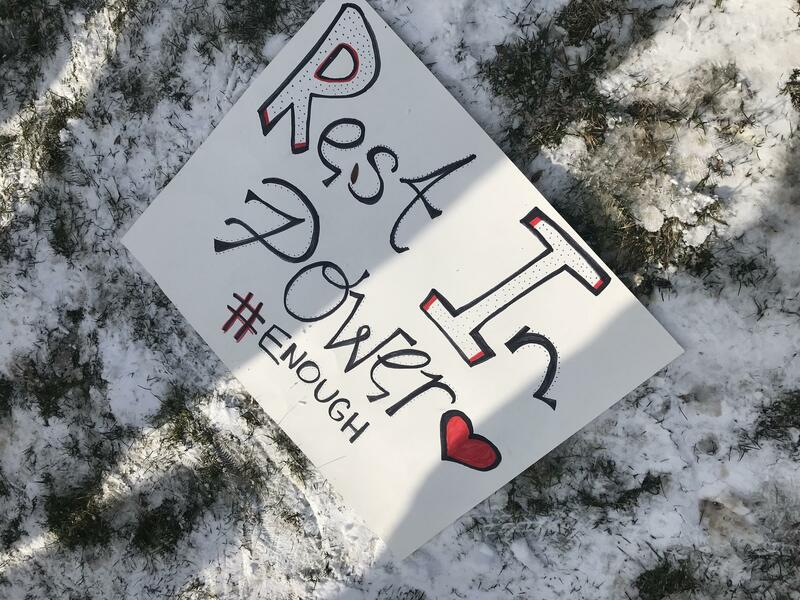 Davidson said seeing city officials present at the walkout made her feel the city’s support. She also commended school officials and community members for also showing their support. The walkout closed with a student singing “Amazing Grace”, followed by a moment of silence in remembrance of the teens lost in 2018. 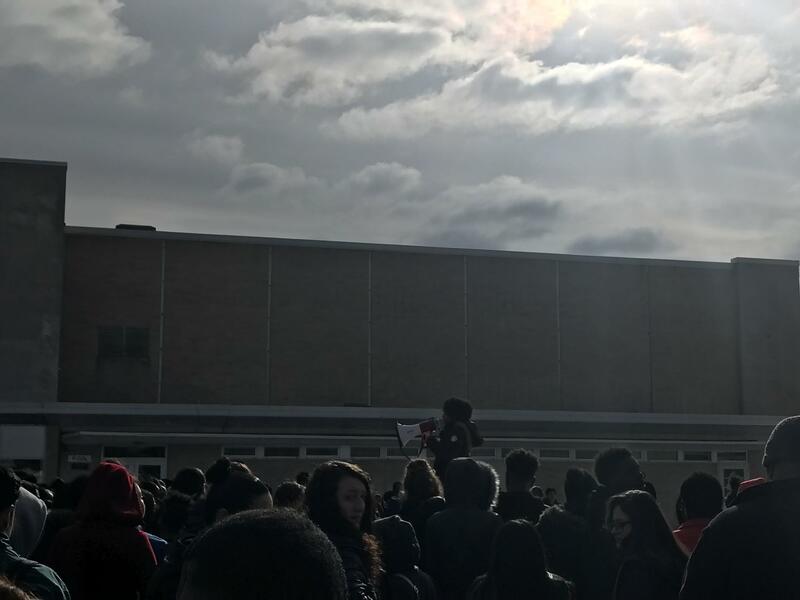 Senior Lauraine Davidson, who helped organize the walkout, addresses students during Washington High School's walkout.